Please see the update from the President, Nathan Lane, here. Pam Spiegel, life member and past President of the JLTAV (2004-2006), wrote the following memorial for Sue. Sue was a valued member, secretary, vice president and president of the JLTAV. During her time with the JLTAV Sue was responsible for many innovations in professional development for members and non-members of the Japanese teaching profession. When you attend the Statewide Conference next year please remember her as this was Sue’s brainchild in 2003. Sue was always generous with time and resources, happily sharing them with other teachers. Along with being an amazing mother, friend and teacher Sue was an inspiration to her teaching colleagues and students. Sue started her Japanese teaching career at Glen Waverley South Primary School, although she had been teaching in Victoria for many years before she retrained as a Japanese teacher. At GWSPS she often mentored student teachers and Japanese native interns, one of whom is now the Japanese teacher at that school. 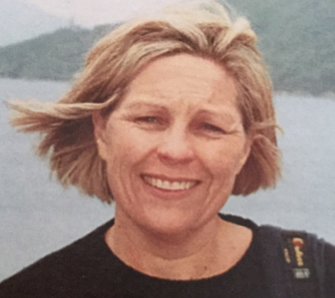 During her time at GWSPS Sue organised several trips to Japan for her students. The other teachers at her school believed the students gained so much from those trips. Sue loved Japanese culture and food. For a number of years, she was a member of Waidaiko drumming group with Ann Eagles and several other Japanese teachers. Sue, I hope if you are reading this that the grammar and spelling is correct I know how you hate bad grammar. Sue, you died too young and you will be greatly missed by your friends and colleagues in the JLTAV. On behalf of the Japanese Teachers’ Association of Victoria we would like to extend our deepest sympathies to her partner Tony and her children, Russell, Alex, Jo & Greg their partners and grandchildren. Upcoming events and future events are visible on our Events page. We are proud to present the Committee for 2018-2019. Their names can be found on the About Us page. On the Events page of our website, you can now see all past events back to the start of 2016. This will continue to be updated with new event reports as they are made. The past year 12 practice exams are available for order from the Services page of the JLTAV website. The JLTAV is now holding a Certificate of Merit award. For more information, click here to go to Certificate of Merit page on our website. Membership registration for 2019 will be opening soon. DO NOT register with the 2018 membership form unless you would like to become a member for 2018 (until 31 December 2018).